Last year I blogged about Apple Serial Numbers Ending With F000-FZZZ and I thought what the heck. Let’s run the script and see what we get. Some of this data is put into areas nearby current iMac’s, MacBook Pro’s and hold on… Mac mini. 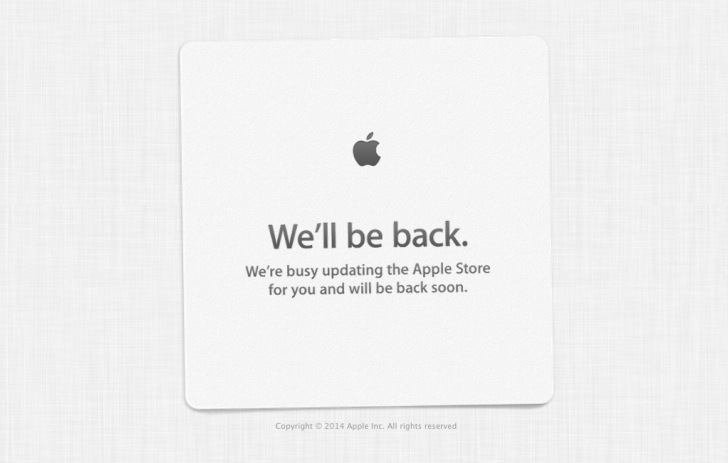 So are we finally getting a new Macmini? No idea. All I do here is to sum up last bits of serial numbers that have yet to be filled in by Apple. Like these from last year which are still not used. 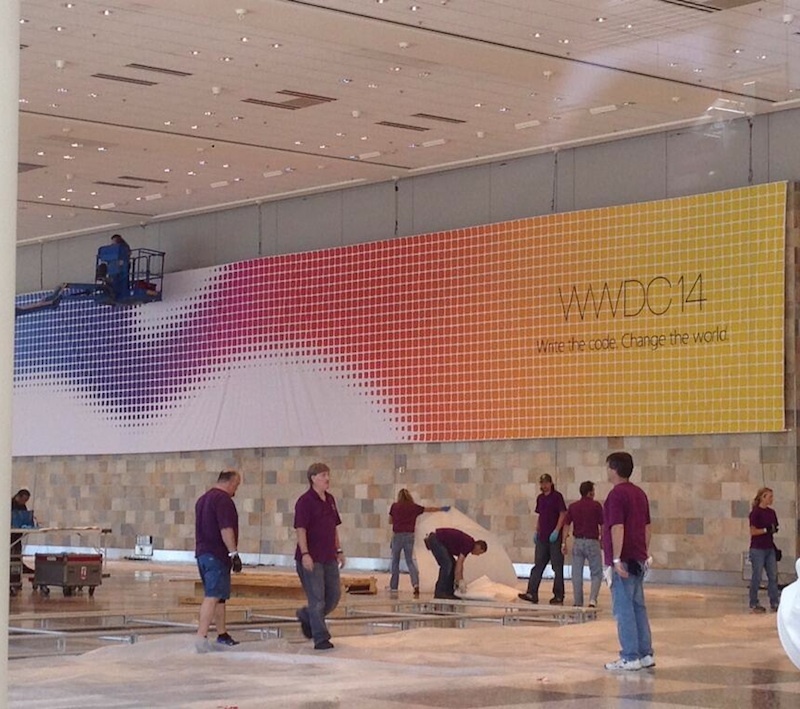 The Internet is literally scattered with all sorts of predictions for the WWDC 2014 event, and some are probably true, but this is what I make of the images. Telling me that Apple will need app developers once again. And looking at some of the other images posted on the Internet… we find three images that, quite obvious, represent the top part of the Apple logo. In colour. Also. The three images are part of a new icon of a yet to release product. A complete new product for which developers will receive a new emulator. Made available next week. Later in Q4 the product will be officially launched during a new media event. This product is said to change the world, with help of app developers, but I seriously doubt that it is related to health, because for that you need professionals and not regular app developers. No. My guess would be more towards the iWatch or whatever Apple is planning to call it. p.s. 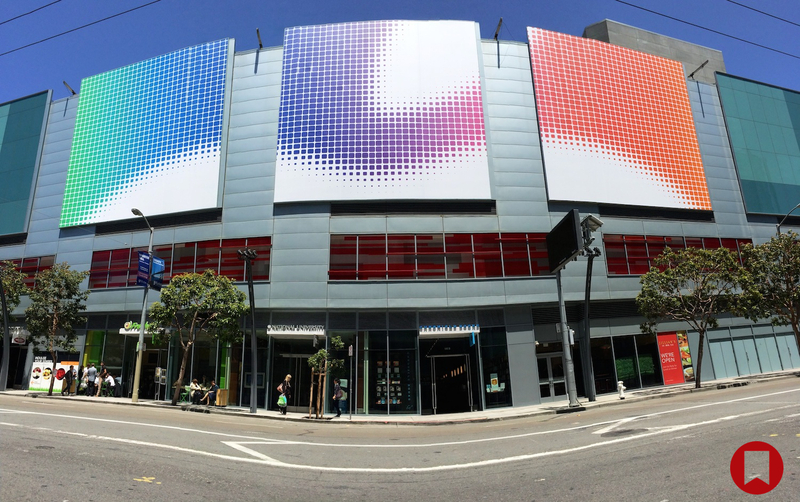 My guess is that Apple will surprise most of us, but some disappointments are to be expected. Apple seeded OS X 10.9.4 (Build 13E9) to registered Mac developers, made available through their Software Update mechanism in the Mac App Store, as well as through the Mac Dev Center. Other people can get the developer preview with help of this blog article. This is based on the perf-bias value of 0x1 (highest performance) which happens to be the same as the current iMac14,n models – all other Mac models use 0x5 and 0xf. Unsurprisingly, of course, since Apple doesn’t want you to drain the battery flat in say two hours. The EDID data for the GFX0 display is set to a screen size of 60 x 34 CM but the resolution data is blank. I compared some of the data in OS X 10.9.3 with OS X 10.9.4 (Build 13E9) and found some additional changes. Some of which may indicate that the new iMac may have a Retina LCD. Which would be awesome. Apple uploaded a new version of OSXUpdCombo10.9.4.pkg (Build 13E9a) but all I could find out so far was that some of the installation scripts and SystemVersion.plist was touched – no changes were made to the mach_kernel, frameworks or kexts. It did also not show up as a new update in the App Store, so it is, apparently, not intended for people with Build 13E9 installed. It also won’t install over builds: 13A598, 13D65 and of course 13E9a. Edit: I also added two small screenshots. Note: MSR_PP1_POWER_LIMIT is for the IGPU only! The value 3 above is taken from (MSR_RAPL_POWER_UNIT & 0xf) and that equals to power units of 1/8 Watt – hence the right shift to get the proper value. Let me know if this works for your setup as well. We already knew that MSR_PMG_CST_CONFIG_CONTROL is re-initialised by XCPM, the mach_kernel, but I also found out that the IA32_ENERGY_PERF_BIAS (0x1B0) MSR is set by data that is taken from the resource plist (think Mac-F60DEB81FF30ACF6.plist et all). Ok. This proves that I was right when I said that having more P-States isn’t necessarily better. In fact. It now results in a (somewhat) slower PC, because the Geekbench v3.1.2 (32-bit mode) score is 3624/11298 without the changes in the UEFI BIOS (auto versus 85 Watts and 95 Amps) and 3613/9501 with the changes. Someone over at Tony’s place with a Gigabyte GA-Z87X-UD5H board (F9 bios) ran into another PM related issue – using ‘Auto’ as core ratio, instead of setting it manually to anything but 35 made PM fail for him. Nothing wrong here. Perfectly fine for his i7-4770K. The detected minimum and maximum core ratios are also fine. What is interesting here is that all core turbo ratios are set to 27 (3.9GHz) and thus a single turbo request will result in the top frequency of the processor. Completely ignoring the fact that the first turbo frequency must be set to the core ratio + 1. In this case 36. Otherwise we ran into issue ages ago already. Remember? I have asked the person to set the first turbo ratio back to 36 and the core ratio to 35 (or auto) to see what this does. I’ll keep you posted if I have anything new to report. Didn’t change anything. Which is positive. 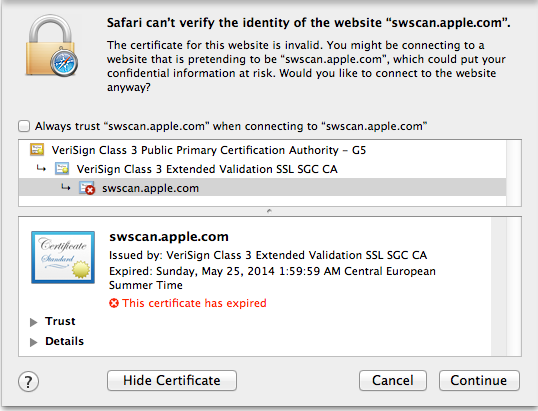 Looks like someone responsible for this at Apple forgot to put this on his calendar, to renew this certificate in time. Not so good. A new certificate was issued by Symantec yesterday, and thus this issues is resolved. The ADATA SR1020NP PCIe 2.0 x4 (Socket 3 with M key) is based on the LSI-SandForce 3739 and wired to MLC NAND flash, with up to twice the capacity of the Samsung XP941 and transfer rates of up to 1.8GB/s, which is only 200MB/s short of the theoretical 2GB/s limit. Much faster than the Samsung XP941. I’ll start testing/benchmarking it a.s.a.p. The Samsung XP941 can only be used as boot drive in a MacPro (not the latest model), with the latest ASRock Z97 Extreme6 motherboard, and Asus motherboards will soon, thankfully, also support the Samsung XP941 SSD with a new UEFI BIOS update – the M.2 socket on the Asus motherboards will only support PCIe x2, but it should also support PCIe host adapters like the Lycom DT-120 to be had for £8.38 including VAT (plus shipping). Edit: RAMCITY, the Upgrade Experts™ from down under – yeah that is Australia – sells the same card for AUD$25.99 + shipping. Do note that the price for international orders will be 10% lower (NO VAT). Additionally. You can order your Samsung XP491’s in 128GB, 256GB and 256GB right away. No delay, and they offer an excellent service and warranty I am told. Other motherboard vendors should soon follow this initiative, so you won’t have to replace the factory AHCI driver with GUID: 8F5A2E02-538C-4D59-B920-C4786ACBC552 in the UEFI BIOS with the one from the MacPro6,1 or ASRock Z97 Extreme6 motherboard BIOS – I found a SAMSUNG_M2_DXE Driver* with GUID: 1AC7EE15-1290-402C-80E9-F45A86E43F71 in the UEFI BIOS. Replacing and/or adding a driver is not that difficult in my opinion, but a vanilla solution is preferred here for wide adoption. Note: I don’t have the new Asus UEFI BIOS (yet) so I don’t know if the ADATA SR1020NP is supported or not. I guess it should work, or not of course. We’ll see when the update arrives here. Note: The name, “Apple” in the above example, can also be “Generic” or “Thunderbolt” depending on the type of the controller. A next step, in the near future I presume, would be the addition of the nvmexpress driver for UEFI BIOS. That and a port of the Linux client driver would make everything even faster and more power efficient. Like this isn’t fast enough already. Edit: Samsung has a new product in the pipeline, the SM951 with a PCIe 2.0/3.0 x4 interface. This new product will offer a sequential read speed of up to 1600 MB/s and a sequential write speed of up to 1000 MB/s with current PCIe 2.0 motherboards, and 2150 MB/s and 1550 MB/s respectively when installed in a PCI Express 3.0 x4 Lane Host adapter like the Lycom DT-120. The ADATA SR1020NP is not yet available and thus a price is yet to be revealed, but that should change during/after Computex Taipei (3-4 june 2014). I’ll start saving, because I want two of them, and since the Samsung 512GB modules are bloody expensive already… this is going to hurt my wallet. A lot more even! With the old Mac Pro you can upgrade your RAM, Graphics card(s) and (hard)drives. Some even went as far as replacing the processor(s). Now your Mac Pro can get a new second life, with help of a Lycom DT-120 adapter card with a Samsung module. Soon adding ADATA as an alternative. With up to 1TB modules. A pretty sweet deal for your ‘old’ Mac Pro. Which may still be fast enough for what you do with it. The AsRock Z97 Extreme6 motherboard (read this review) and Lycom DT-120 host adapter are currently the two best options to add Ultra M.2 X4 support to a hackintosh, but there is a catch. The Intel Z97 chipset supports 16 PCI Express 3.0 lanes, with help of the (Haswell) microprocessors, and the lane configuration (also) depends on the number of installed PCIe (graphics) cards and other devices. This is not optimal, but it will become less of an issue with Intel’s next generation X99 chipset (getting more lanes). For now we have to accept the (somewhat) reduced bandwidth. Not that I mind, because I use the IGPU only (I’m not a gamer) and thus it does not apply to my setup.